I love that I promised you all a series of posts out of Mary Swanson's Big Hearted Cookbook. It was an intro to the fund raiser and sharing a little bit with you about the lady whose memory these funds are being raised for, and about my friends training efforts for the bike ride. But you know what else, what a great way this has been to get me to try new recipes! It's really been fun. The days are counting down. . . . . . We have one week left before the bake sale and raffle start. I am so excited! We have a great line up of bloggers who are donating to the bake sale. You will be excited too! The days are also counting down for when my friend, Stacey, leaves for Utah to go on her bike ride. She is still training hard, but the weather is not cooperating or being her friend. Several of their last training bike rides have been cancelled due to snow. The pictures she has sent me of these recent snow falls have been completely uncalled for in April! They have made me really appreciate the fact that I do not live in Minnesota any longer! On to today's recipe! This is a Baked Ham Loaf. In the cookbook, right below the recipe title, are parentheses (A Church Lady Favorite). I am not sure if this has a specific family meaning to it, but I know that Mary was very active with her church, so in my mind, this was a favorite for her to make for her family and friends to enjoy after Sunday church! Preheat oven to 350 degrees. In a large bowl combine ground ham, ground pork, and ground beef. Add your peanut butter to a small bowl and microwave for 10 seconds, just to soften it a little bit. Mix the cereal, eggs, peanut butter, Worcestershire sauce, salt and pepper to the meat mixture. Mix until all ingredients are combined. Shape into a loaf, and place in a roasting pan. Set aside. In small bowl, combine brown sugar, mustard and vinegar. Stir well. Baste loaf with sauce. Bake loaf in preheated oven for 1 hour. Baste the loaf every 15 - 20 minutes with more of the sauce. This looks so homey and comforting, Kris. I can just imagine slapping a slice of this between two pieces of soft white bread. YUM! 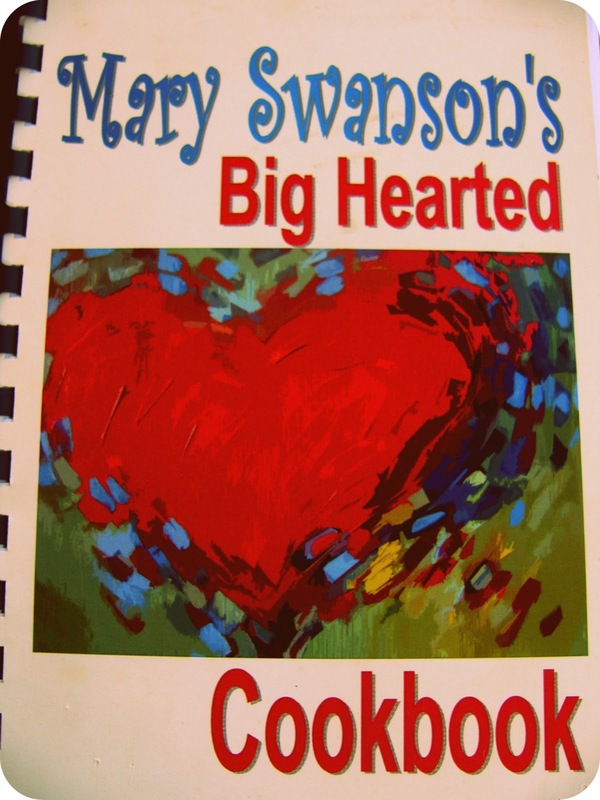 I bet there are lots of fabulous recipes in this cookbook! Best of luck to Stacey as she continues to train. I hope the weather gets better for her! I have not had a loaf with ham in it before, but I imagine it adds a lot of flavor. I love this flavor combo. I never used ground ham, sounds good! Thanks for sharing at Foodie Friends Friday! Hello! This looks delicious! New follower via Pinterest. Do you have a bloglovin account? I don't see a link. I would love to have a follow back. For the vinegar, use Apple Cider Vinegar. I live in Ohio where everyone knows what ham loaf is, but I grew up in Maryland and no one had ever heard of it! I've never had it with beef mixed in so I'm looking forward to trying it! Stopping by from the Hungrylittlegirl hop! Ok this is pretty genius. I never thought to add ham to something like this. It would add great flavor! Thanks for sharing on Thursdays Treasures.